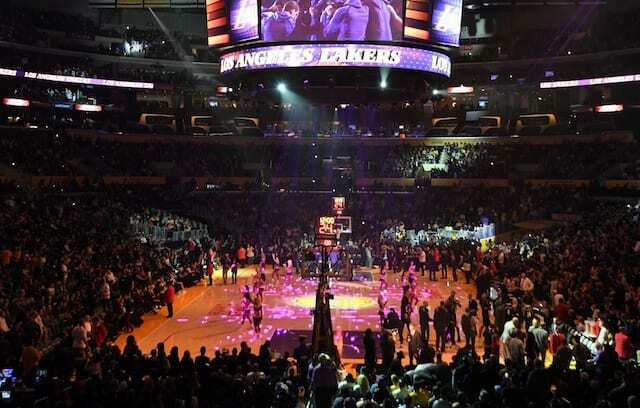 Despite the Los Angeles Lakers officially eliminated from playoff contention by the Brooklyn Nets, LeBron James and Kyle Kuzma led them past the Sacramento Kings. Ending a five-game losing streak, James recorded his eighth triple-double of the 2018-19 NBA season with 29 points, 11 rebounds, and 11 assists in 35 minutes. 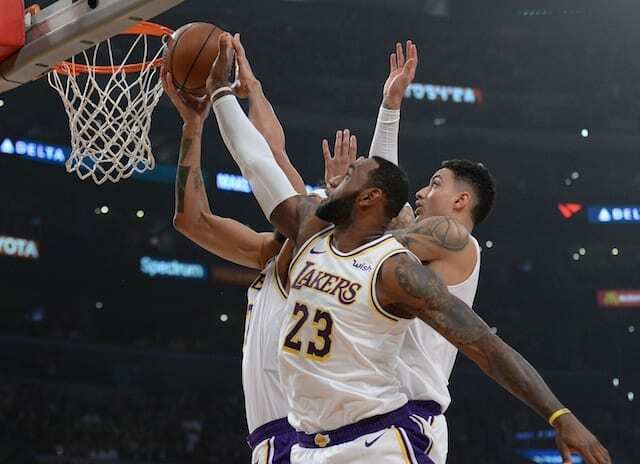 More importantly, when the Kings made a push and got within two points late in the fourth quarter, James made all six free throws to give the Lakers a 111-106 win. While the Lakers remain shorthanded, James received plenty of help from Kyle Kuzma — who was the only active player available from the team’s young core. Although Kuzma struggled in the first half, he scored 21 points in the third quarter to help establish a double-digit lead against the Kings. He finished with 29 points in 40 minutes. Along with James and Kuzma, JaVale McGee recorded 17 points, 14 rebounds, and five blocks in 29 minutes. This marked the second consecutive strong performance by him. Kentavious Caldwell-Pope, who started for the injured Reggie Bullock (plantar fasciitis), chipped in 16 points (4-of-12 shooting from the three-point line), seven rebounds, and four assists in 33 minutes. With the Lakers winning the season series 3-1, the Kings are another step closer to being eliminated from playoff contention despite their best record in more than a decade. Although James and the Lakers are better off improving their odds in the 2019 NBA Draft lottery, they will still take the win against a former rival under the circumstances. At 32-41 and just nine games remaining in the injury-riddled season, the team’s goals should be to stay healthy and be competitive against playoff-bound teams. James and the Lakers take on the Washington Wizards next to conclude a three-game homestand before a one-game road trip against the Utah Jazz.